lt;stronggt;SPG13008lt;/stronggt;lt;BR/gt;Simple Green Concentrated All-Purpose Cleaner/Degreaserlt;BR/gt;Strong yet safe cleaner removes oil, lubricants and grime from washable surfaces. Rinses easily. Safe for food-preparation areas. Nonabrasive and nonflammable. Exempt from OSHA and EPA special handling and personal protection requirements for hazardous materials. 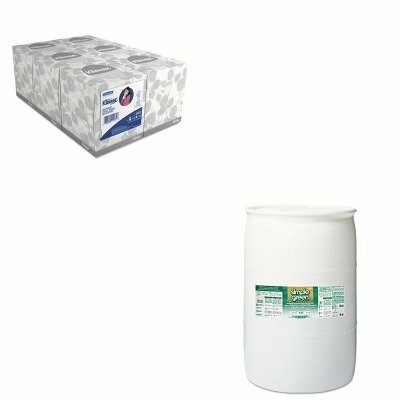 Application: Machinery Tools Applicable Material: Metal.lt;BR/gt;lt;BR/gt;lt;stronggt;KIM21271lt;/stronggt;lt;BR/gt;Simple Green Concentrated All-Purpose Cleaner/Degreaserlt;BR/gt;Soft and absorbent facial tissue. Our strongest tissue packaged for attractive presentation. Special feature lets you know when tissues are about to run out. Tissue Type: Facial Number of Plies: 2 Number of Sheets: 95 per box Length: 8 1/4amp;quot;.